Now there are another set of “MLM experts” who are on the far left. They are dead set against warm market prospecting. They believe everything should be done online using attraction marketing principles. I'm of the moderate crowd I'd have to say, and I firmly believe network marketers should use both strategies. It only makes good sense to tell your warm market about your new business. After all, if you were to open a restaurant or dry cleaner business, you would tell all your family and friends about that wouldn't you? So why not tell your family and friends about your new MLM business? And I understand why. So many sponsors teach their downline members to not take no for an answer; to keep pestering their warm market until they say yes. Using that warm market prospecting technique can make you quite unpopular among your warm market friends and family. In fact, when I first got involved this is exactly what I did. Unfortunately, I wasn't prepared well for how to communicate with them and came off like I was pitching them on the business. I ultimately ended up in the NFL club (no friends left club). So I am going to share 7 warm market prospecting tips that will help you grow your downline fast and still keep you popular among your family and friends. Use these and create a huge MLM business. When you approach your Aunt Mary, Cousin George or your friend Bob, do not assume that he/she will say no and do not assume they will say no. Just go into it with an open mind that you are just telling them about your new business. If you go into it with assumptions, you can actually force the “No I won't join” assumption to come true because of your demeanor. Or, you could be in for a major disappointment if you think they will say yes and they say no. Don't be concerned with the outcome… Just share the opportunity and if they are open-minded, share using 3rd party tools. Your warm market will still respect you by using this method. One of my favorite MLM trainers, Ray Higdon, preaches this warm market prospecting tip. It has happened to many network marketers. They have a warm market prospect that is showing some interest so they keep talking… and talking… and talking some more. They talk their prospect into the business, and then right out of it. Basically, the more you talk, the bigger of a hole you dig. The warm market prospect loses that interest. But if they would have just shared the 3rd party tools such as a CD, DVD or internet video, they would have been more apt to sign up that warm market prospect. And you introduce your sponsor and let the sponsor take the close from there. I especially recommend this tip for network marketers who have been with 2 or more MLM companies before their current company. Because of this, your warm market may be saying “Oh another one… How long will it last?” They may be very skeptical about joining as a representative, but why not approach them as potential customers. Have them buy and try the products. Besides, customers provide you with retail profits. In time, as they use the products and they see that you are doing well, you can approach your warm market customers with the opportunity to get those products for free by becoming an independent representative and starting their own home based MLM business. What I mean here is do not insult anyone for saying no to the opportunity. The fact is, no isn't always forever. It will be forever if you call them stupid or an idiot for not jumping in on the opportunity. Don't even say it to someone else because that can somehow make its way back to the person. Even if you used to talk that way to that particular person before, don't do so in regards to your MLM business opportunity. You may discover that if you treat them with respect, that no may turn into a yes 2 months, 6 months or even 2 years down the road. I in fact saw a close friend and mentor of mine recruit a top earner into his business 16 YEARS after becoming friends with them. Conditions change in this industry, and so do the opportunities. You never know where someone will be down the road. You have to walk on thin ice with this and ask with respect and a smile. But ask what it is they are saying no to. Is the no to the opportunity to start their own MLM home based business and make another income? Is the no being said to each and every one of the products you offer? Is the no to sharing any referrals of other people who may be interested? Some network marketers say to not take no for an answer. I don't really agree with that idea, but I do believe you need to find out exactly what the prospect is saying no to. And check yourself to see if you approached the prospect with the other areas they have not said yes or no to yet. The absolute worse thing you can do is beg, pester or try to annoy your warm market prospect into joining the opportunity; and yes, that even goes for that sibling who has annoyed you your whole life. I have discovered that by using those approaches, you may get them to join but they often quit soon after. And what is even worse, all your family and friends will hear about how you are using high pressure techniques and they will avoid you like you are some kind of plague. Their response will tell you quickly if they have a positive or negative frame of mind. Most warm market prospects know someone who would be interested. It only makes good sense to ask them because you don't know unless you ask. Just say something like, “I understand that this opportunity just isn't for you at this time and that is okay, but I'm looking for sharp people like you who are open to building a business with me on the side. You could even offer them some incentive for making the introduction. Offer them a dinner, free movie passes, finder's fee, whatever it takes. Who they know is extremely powerful and your success in the warm market will be in your ability to tap into it. Get their name, numbers and emails and be sure and ask your warm market prospect if you can tell them he/she referred them. You see, it isn't about pressuring or chasing people. It is about sifting and sorting… It's about educating them and showing them that you are there if they want it, but you are not twisting their arm. By using these methods, you will now be alienated by your friends and family. They will understand that you are a business person and a respectable one at that. Let's just call this a bonus tip to go with the 7. It is important that you determine how you will approach each warm market prospect before you do so. We all know that there are various levels within our warm market. Direct and personal: “Hi Jane. I was wondering if we could get some coffee at (time). I want to show you a business that I know you will be interested in.” This is the direct approach and you are telling the prospect they WILL be interested. Complimentary: “Hi Jane, want to have grab a coffee and catch up?” After setting up a time to meet you can sit down, buy their coffee, and then use a complimentary line like: “You know, I started a side project online to make a little bit of extra money, naturally I thought of you because you're ambitious, if you ever decide you'd like to know more I'll show you what we're up to. So how's work going?” I like to personally soft invite, and then derail the comment by changing the subject. That way if they really are interested they'll go back to it by asking “wait what'd you say about making money online?” It gives me an idea as to whether or not there's a pain point or desire I can target. The third person: This is a ploy that is used with those who want to be the first in anything. “Hey Jane, do you know someone who may be interested in partnering with me in a side venture? We're looking for highly motivated sales people and the company that brought me on board provides all the training. If you give me a good referral I can compensate you.” This sparks a feeling of “what, what about me” and often works very well. When you believe in the profession, your company, and yourself, nothing can stop you. There's a point of contention that you have to believe in your products. I'll be honest, if this were true then some of the biggest companies out there would have went broke a long time ago. I'm not sure if you've tried products from a variety of companies but I have, and there are a few that taste like Rhino dung. Regardless of that, they do billions in sales per year. Leaders of extremely high caliber joined their company and decided to grow teams and promote their products. And many of these leaders had the skills to build the deal, regardless of what they were selling. If you ask almost any big leader (not all, but most) out there whether they could succeed in another company, most would tell you undoubtedly “YES.” In other words, they're confident they could build anything, because they know their own potential with 100% certainty. I won't name companies here, but their not all sugar and spice. And although all of them claim to have exceptional products, it simply isn't true. I know where many of them manufacture, I'm connected with logistics companies that ship their goods, I know many of the top folks in the field and I can tell you that our profession isn't all roses. But one thing's for certain, if you acquire the right skills I totally believe you can crush it in whatever you decide to stand behind, regardless of the reason you do it. The only thing that will vary will be your motivation and work output, the rest is skill based. Think about why anyone follows any leader. It's because of their influence. 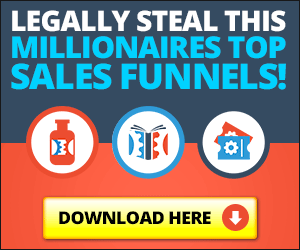 It's the mastery of a particular skill that caused them to get exceptional results in the MLM profession using whatever particular lead generation method they chose to master and implement. Approach your warm market prospects without assuming or predicting an outcome. Don't talk too much – let the 3rd party tools do the talking. Go for both customers and business owners. I prefer business builders first but it amounts to identifying the problem your prospect has. Do not insult or look down upon any prospect who says no. Discover exactly why the prospect is saying no. Don't beg, chase, pester or annoy your warm market prospects. Ask your warm market prospects for referrals. Determine how to properly approach each warm market prospect. I hope this post helps you better understand how to prospect your warm market easier. If you follow the tips, I am sure you will grow your downline extra fast. While we are at it, I know of an app that can make recruiting ultra easy. It is called Rocket Recruiting. Using this app will make recruiting one of the easiest tasks you have ever done. I highly suggest you check it out here. Hey, do me a favor and leave a response if this post helped you. If you have any questions, just ask them below too. And, please share this with your team members on social media. They will be glad you did. Thanks again, and may your MLM business grow by leaps and bounds.